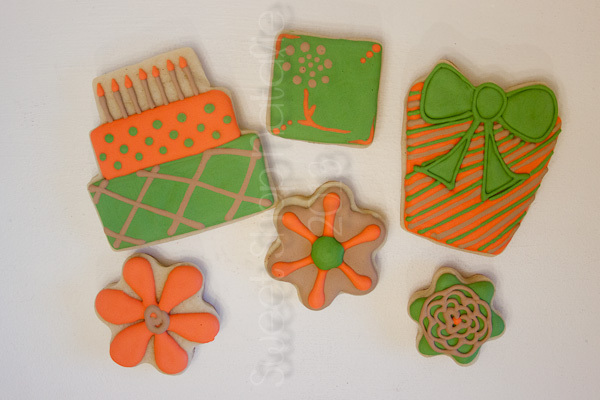 A random post with some sweets I did last month. I only took one shot of each of these goodies so I thought I would just put them together. 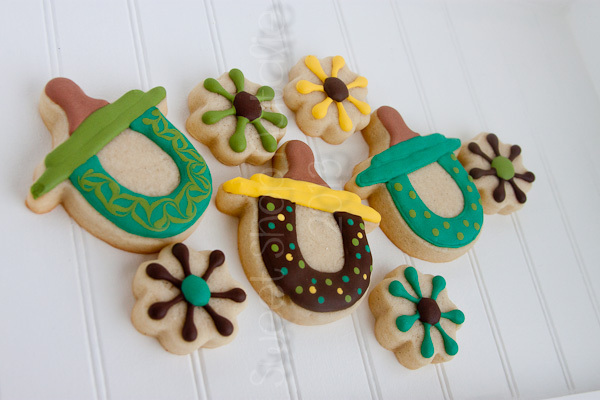 First is some birthday cookies I did for a friend. 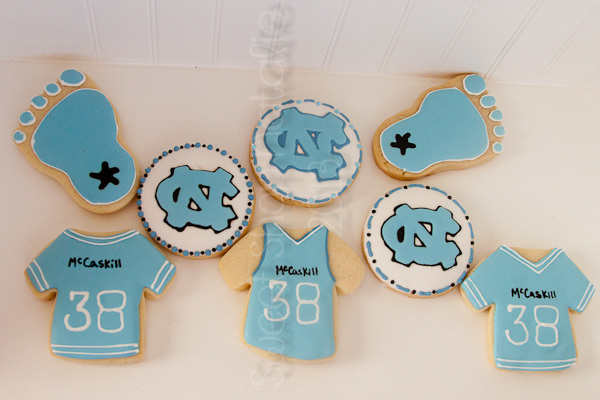 Then some North Carolina Tar Heel cookies for my good friends husbands birthday. He loves his Tar Heels. 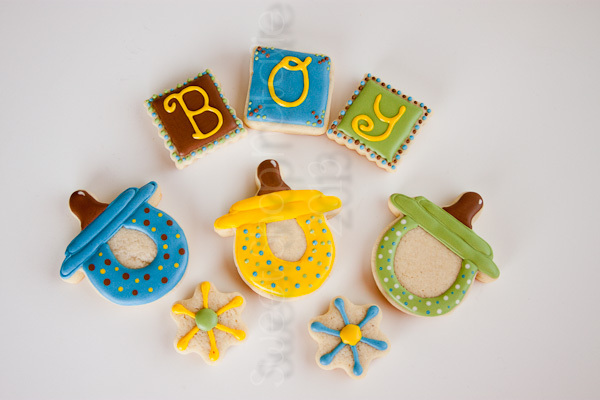 Then just two small sets for two friends who recently had baby boys. I also made cake pops but forgot to take a decent picture of them so all I have is this phone picture I quickly took. The next two pictures are of small sets I made for two different friends who recently welcomed baby boys into their homes.